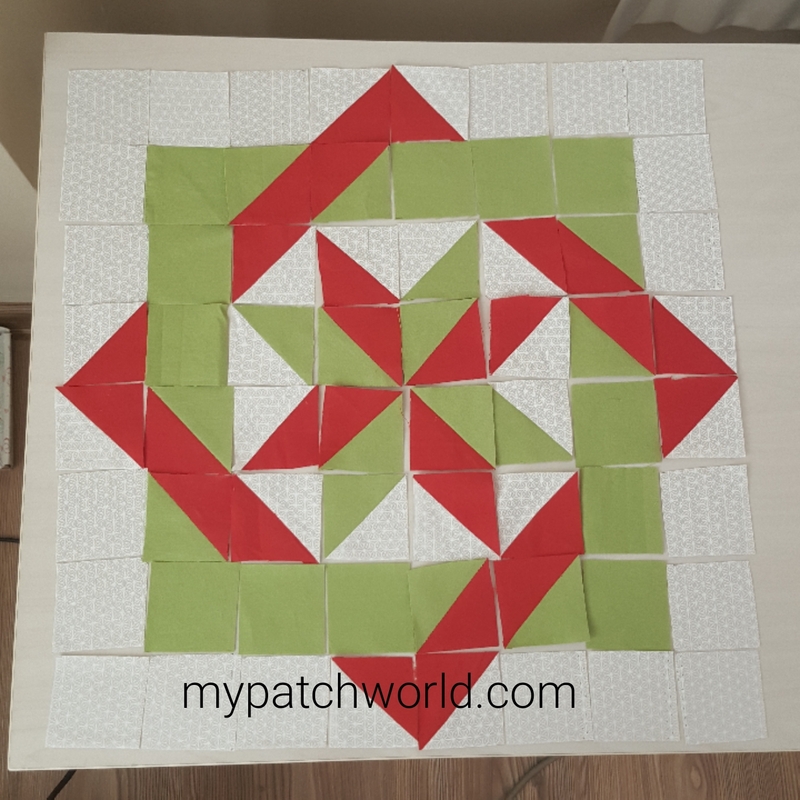 Today I finished the quilt top for my labyrinth quilt block and I also prepared a tutorial for making this labyrinth quilt block. There are many version of quilts know by that name. My tutorial explains one version of labyrinth quilt pattern which is a star with two interwoven borders. 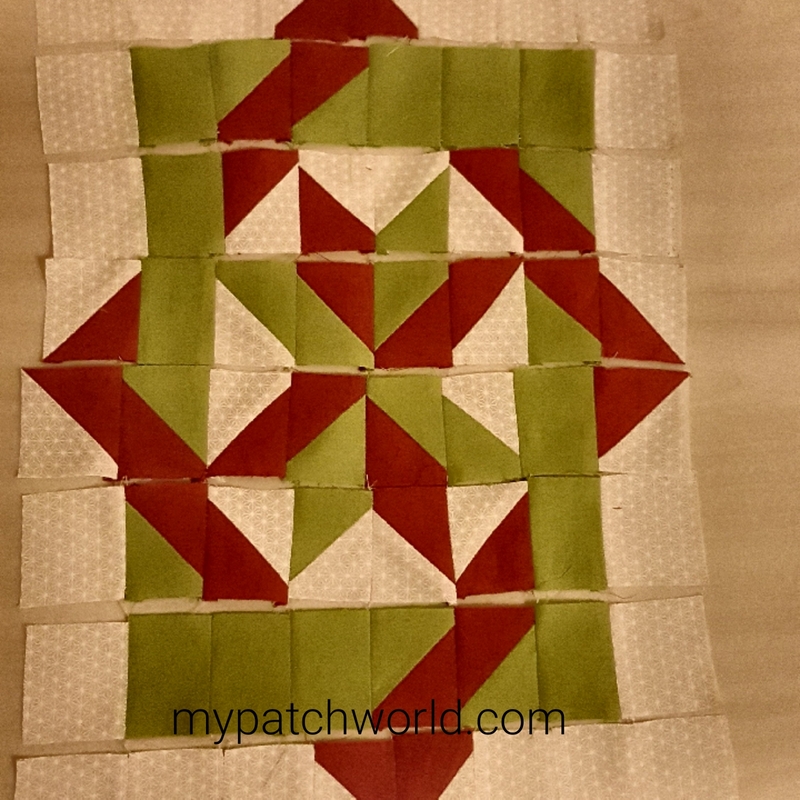 While making the labyrinth quilt block pattern I used squares and HSTs (half-square triangles). 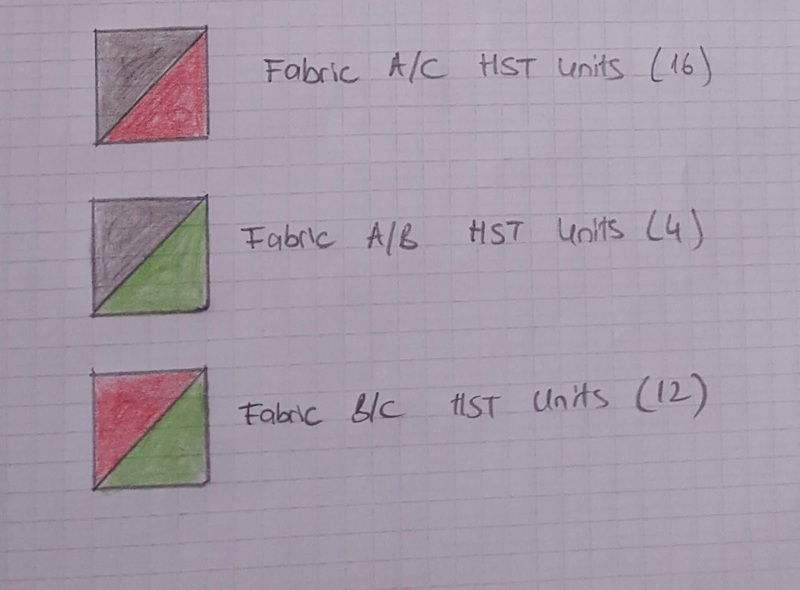 So there are two standard measurements for cutting instructions of the fabrics which, to me, is less complicated. 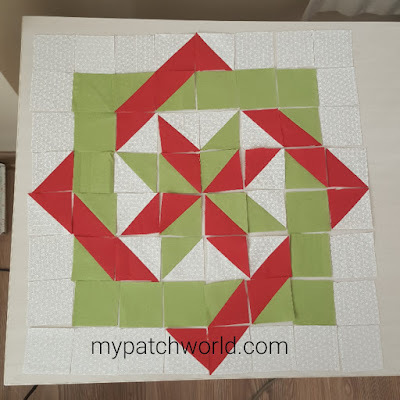 Hope this labyrinth quilt block tutorial will be useful for you. My block is a star with two interwoven border areas made from 2"x2" squares. The labyrinth quilt block finishes at 12"x12". 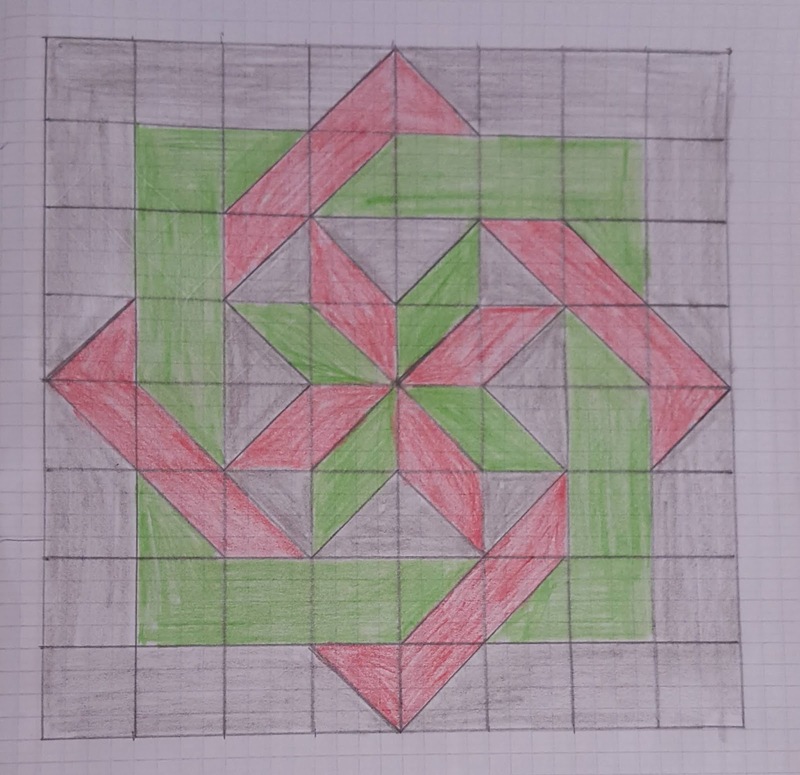 The block is made from three different colours. 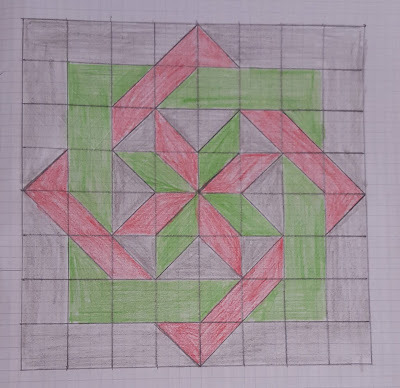 I used green, red and grey. 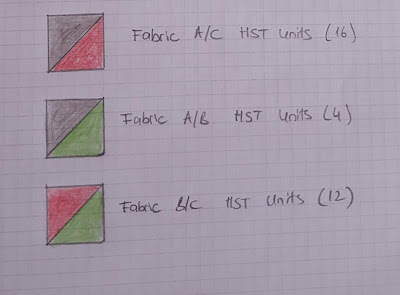 The photo below will help you organize and assemble the units. Cutting instructions include the inner star as well. 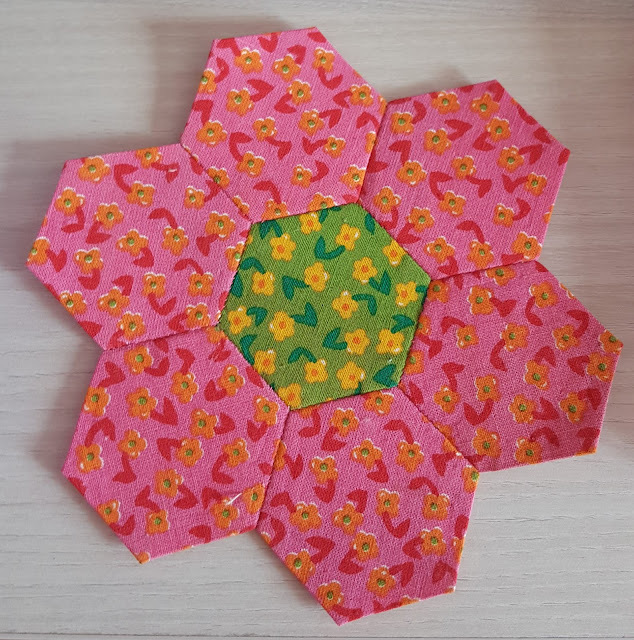 If you do not know how to make HSTs, you may have a look at my making HST tutorial HERE. 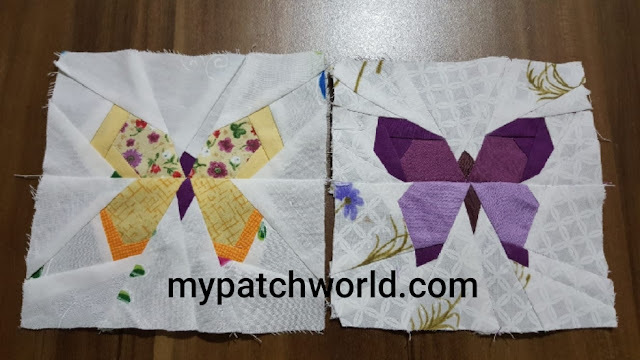 Start sewing together with a quarter inch seam allowance to assemble the block and do not forget to press carefully. 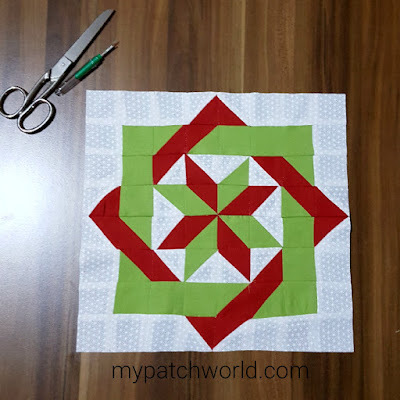 You can start sewing from the center star or you can start from the top, to go row by row . I prefer to assemble the block beginning from the first row. To make it clear, the template above will help you the correct order of sewing. When you sew the pieces together in rows, you need to join the rows, making seam intersections and row ends carefully. Always press seam allowances. This is really creative work. I love the fact that I’ve never seen something beautiful like that before. Thank you. You will also enjoy doing it. Looks amazing - I will be trying this one soon! Thank you. You should definitely give a try.